iCollect is a versatile platform developed for Health Care Solutions. It provides technology support for healthcare, clinical & lab management to handle day-to-day manually driven logistics and distribution operations. As a Pathology Lab Solutions and Managed Healthcare provider company, iCollect provides development of managed IT solutions, medical billing, finance and document applications development solutions to all hospitals and healthcare centres around the world. As a healthcare solutions provider company, Our healthcare solutions are developed by covering all aspects of healthcare industry. We give Robust Healthcare Development Services and managed IT solutions that’s easy to understand and save lots of your time. This platform can be customised to suit all your healthcare management challenges. Remotely monitor all your labs or healthcare clinics by providing real-time data. Right from field service optimization, dispatch & resource information to analytics and logistics automation, iCollect can do it all. 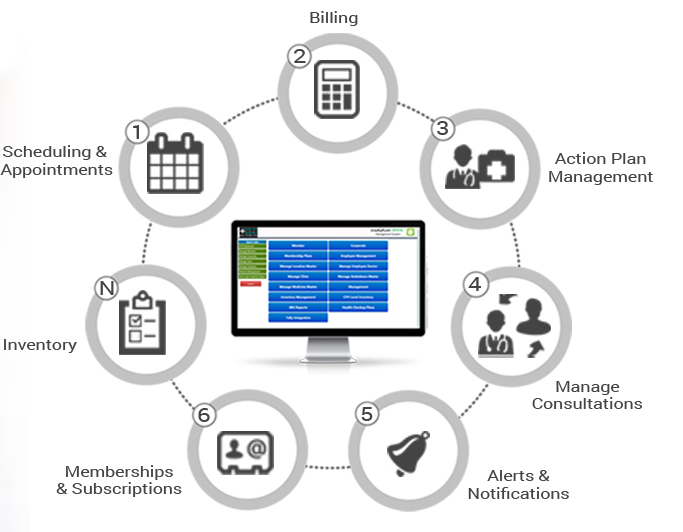 Powerful document management system (DMS) that acts like a health information exchange mechanism.